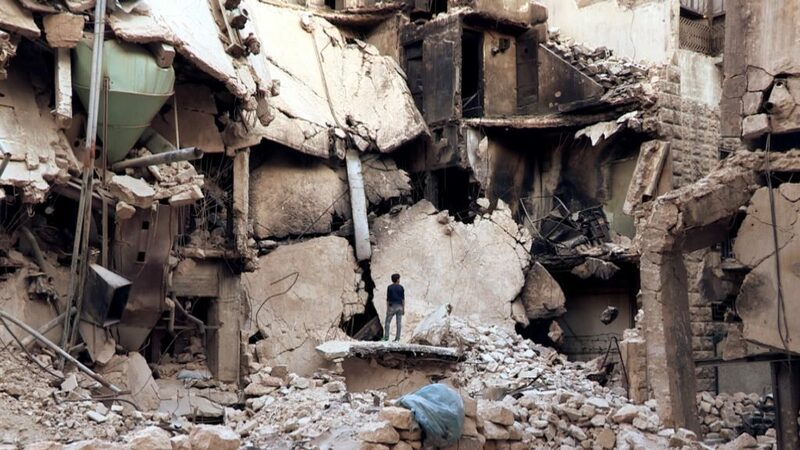 A young boy standing amid the rubble of Aleppo. 04/13/2018: This post has been updated. President Donald Trump announced in a speech to the nation on Friday that he has ordered military strikes against the government of Syrian President Bashar al-Assad in retaliation for a suspected chemical attack that killed more than 40 people near the capital of Damascus last weekend. President Trump said that both Britain and France joined the United States in the operation. The bombing comes just over a year since the U.S. first attacked the Assad regime following a suspected chemical attack. Since 2014, a U.S.-led coalition has carried out an air campaign against ISIS targets in Syria. With the latest attack, the U.S. risks enmeshing itself even deeper into Syria’s war despite President Trump’s recent comments that he wanted to withdraw U.S. forces from the country. It also raises the possibility of escalation at a time when both Russia and Iran are providing Assad military support. How did the Syrian war — which recently entered its eighth year — begin? How did it reach this point? And how has U.S. military involvement there shifted over the years? 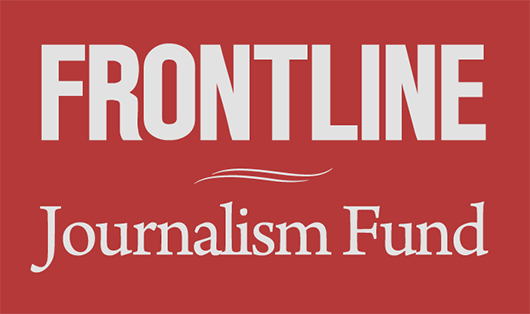 FRONTLINE has been covering the conflict’s roots and brutal evolution since the start. Here are five documentaries to watch focused on Assad and U.S. military policy and actions, as the war enters a new phase. Seven years ago, a group of young boys in a small farming town spray-painted anti-Assad messages on their school walls — and were then rounded up by Assad’s secret police and tortured, sparking anti-Assad protests that would eventually spread and lead to rebellion and war. This documentary goes inside the very beginning of the Syrian conflict, profiling how Bashar al-Assad came to power — and why his government turned so fiercely on its own citizens. Correspondent Martin Smith traveled to government-controlled areas of Syria, talking with civilians caught in the crossfire who fear the collapse of the Syrian state, sitting down with supporters who defend Assad’s actions, and documenting the regime’s efforts to hold onto power — from opening a new luxury resort five miles east of the bombed-out remains of central Homs, to holding press conferences highlighting atrocities allegedly committed by anti-Assad rebels even as the regime dropped barrel bombs on civilian neighborhoods. As part of this investigation of how ISIS came to be, filmmaker Michael Kirk examined the turmoil in Syria during the Obama years — including a fiery debate inside the administration over when, whether and how the U.S. should arm anti-Assad rebels. This deep dive into the Obama administration’s handling of the U.S.-led fight against ISIS explored the role Syria’s conflict played in the terror group’s rise, and why the situation on the ground in the region today is so complex. It also examined conflict within the administration over how to deal with escalating atrocities by the Assad regime. This post, first published on April 7, 2017, was updated following President Trump’s announcement that the U.S., Britain and France had launched an attack on the Assad regime in response to a suspected chemical attack outside Damascus.